Decorate your home with Valentine’s Pillows! This knit pillow is 12 X 12 inches and is a beautiful addition to your holiday décor. 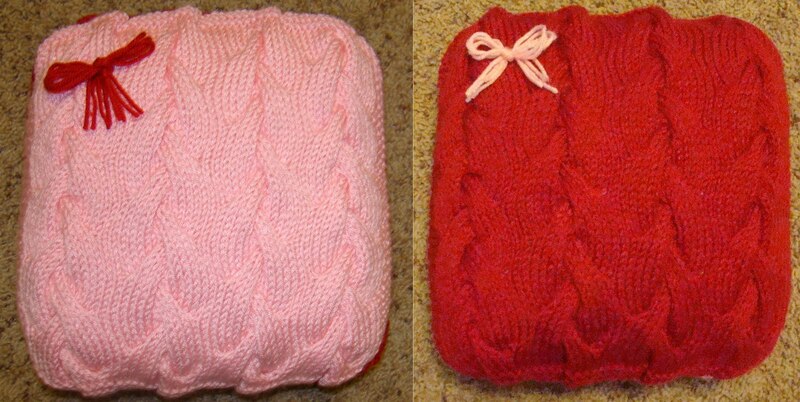 This pillow is two sided, one side pink the other side red with a small bow in the corner to accent the other side. Happy Knitting!